Kelowna residents Colin and Lois Pritchard have long been recognized in the community for their outstanding contributions to advancing health care in the southern interior region. Today, the most recent of their foundation’s contributions was unveiled at Kelowna General Hospital. Thanks to the generosity of The Colin and Lois Pritchard Foundation, the Larissa Yarr Medical Microbiology laboratory at KGH has new, sophisticated testing abilities with a real-time Polymerase Chain Reaction (PCR) laboratory. These highly advanced diagnostic instruments allow laboratory staff to detect and identify specific antibiotic resistance gene mutations, bacteria and viruses faster than ever before. Currently, most viral diagnostics must be sent to Vancouver for testing in a reference facility, with delays due to the transport required. The new PCR instrumentation allows for significantly increased capacity to test for viral illnesses directly at KGH. When time is of the essence, having immediate access to this kind of advanced technology can significantly impact the clinical course of a patient. The gift also includes a generous provision to UBC Okanagan’s Department of Biology to support one microbiology student per year for the next five years. The student will have the opportunity for a four-month co-op placement in the Microbiology Laboratory at KGH. 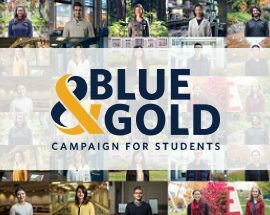 The gift has the dual purpose of supporting talented UBC-Okanagan students in real-world learning while also building capacity for the lab to undertake research on the PCR. Since being founded in 2007, The Colin & Lois Pritchard Foundation has made possible some incredibly unique acquisitions at KGH including; the Endoscopic Ultrasound in 2015, which allows highly detailed gastrointestinal imaging; the MALDI TOF analyzer in 2013 that speeds bacterial identification; and Telehealth and Video Conferencing in 2012, allowing for remote specialist consulting and diagnostic work to be done where people live. The gifts are remarkable on a number of fronts, not the least of which is the Pritchards’ commitment to working in partnership with both KGH and UBC-O. Each gift is intentionally structured to fill less obvious but still critical needs within the hospital, while providing research and learning opportunities for students. Indeed, the support of advanced education in the medical fields has been a top priority for the Pritchards and has resulted in several gifts to UBC over the years including bursary support for Southern Medical Program (SMP) students, research opportunities for SMP students at the BC Cancer Agency, simulation equipment and ultrasound technology. The KGH Foundation is an independent, volunteer-driven charitable organization committed to enhancing the delivery of healthcare to the patients of Kelowna General Hospital and its associated facilities.